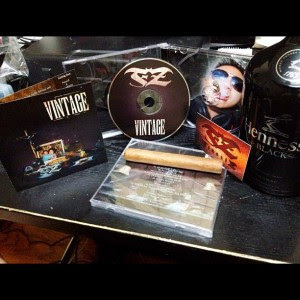 Toronto emcee (and H3 Family) FenaxiZ just dropped his long-awaited album, Vintage, and it's currently available for free download. The album features some dope production by Amir, Anonymous Twist, Incise, Jobe Wan Kenobi, Quarter Inch Kings, and royceBIRTH, and collaborative artist features from royceBIRTH, August Rigo, US!, JLatte, Dagamuffin, Kris Blade, and Kim Possible. Vintage is FenaxiZ's first album release in 6 years - this project has been 3 years in the making, and Fen doesn’t disappoint. Listening to this record, it feels like everything that the artist has been building up and keeping inside comes out on this album, ranging on topics from personal life questions and reflections (throughout the album), to re-contextualizing Filipino history (on “White Man’s Burden”), to venting his frustrations after years of grinding in the hip hop game and not getting the love he deserves (“Goodbye To The Game”). Yes, this album has a vintage feel true to its name, from the intro track with the needle-on-the-record effects and royceBIRTH’s chorus on “Status Update,” to his childhood reminiscing on “Golden Age” and “Can’t Stop Me” (with an incredible old school sample courtesy of Anonymous Twist). This isn't just another throwback album, however; Fen keeps it fresh and downright raw with pure honesty and intensity on these tracks. 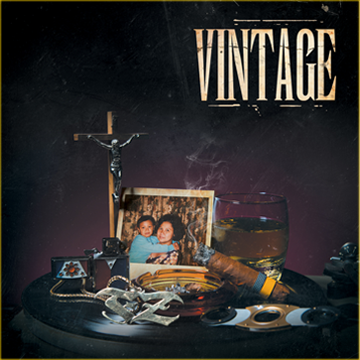 Vintage is an album relevant to real life struggles that all people deal with and face, voicing the artist's insecurities and fears while at the same time coming with an overwhelming sense of determination and perseverance. You can read FenaxiZ's own words about the release HERE. Now go cop the record!